Upcoming projects include: Lorca's BLOOD WEDDING (Rutgers University), DISCO PIGS (Drama League DirectorFest, Sheen Center), Krista Knight's SELKIE (Dutch Kills, Wild Project). Select credits include: THE ADVENTURES OF MINAMI: A ROBOT FROM JAPAN WHO MAKES YOU FEEL SAFE WHEN LONELINESS IS PALPABLE: PART 1 by Leah Nanako Winkler (The Brick, in partnership with The Dramatists Guild), THE CIDER HOUSE RULES, PART 1: HERE IN ST. CLOUD'S (Rutgers University), Brian Quijada's KID PRINCE & PABLO (Ars Nova, ANT Fest), Charles Mee's A PERFECT WEDDING (Atlantic Conservatory), Amy Fox's SILVER MEN (Ensemble Studio Theatre), George Bizet's CARMEN (New York Opera Exchange), UNTITLED CHERRY ORCHARD MUSICAL (NYU Grad), AYKROYD (Fordham University), Brian Quijada's WHERE DID WE SIT ON THE BUS? (Kennedy Center), SHITLOADS OF MONEY (Ensemble Studio Theatre, Unfiltered Festival), BUDDY (NYU Grad), Jahna Ferron Smith's SIR (2017 Winner Samuel French Festival), Leah Nanako Winkler's TAISETSU NA HITO (2014 Winner Samuel French Festival), THE MAN-MADE ROCK (4th St. Theatre), and Krista Knight's COACH DARLING (F*It Club). Regional credits include: OSCAR HAMMERSTEIN FESTIVAL w/ Adam Gwon (Bucks County Playhouse), Lanford Wilson's HOME FREE! and Michael John Garcés AUDIOVIDEO (Williamstown Theatre Festival). He has served as Associate or Assistant Director to Jack O'Brien, Daniel Sullivan, Kevin Moriarty, Vivienne Benesch, Mark Wing-Davey, Anne Kauffman, Hunter Foster, Gordon Greenberg, Denis Jones, Joe Grifasi and others. He has led workshops at Williamstown Theatre Festival, Long Island University and Boston University College of Fine Arts. 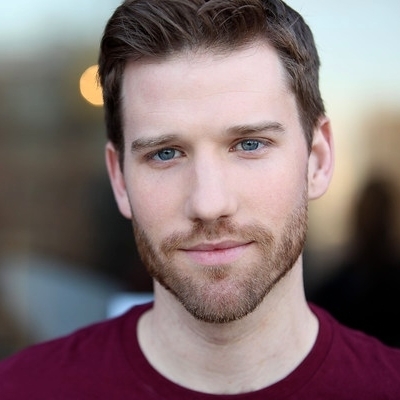 As an actor he has appeared on Broadway in WAR HORSE and THE COAST OF UTOPIA (Lincoln Center Theater), and most recently Off-Broadway in Nicky Silver's TOO MUCH SUN (Vineyard Theatre). He is a 2017 Drama League Directing Fellow, a Jonathan Alper Directing Fellow (Manhattan Theatre Club) and a proud member of Ensemble Studio Theatre. B.F.A. from Boston University.